The trading industry is constantly evolving according to the changing needs of traders. Given that electronic trading is done primarily online, brokerages that offer online services have been keen to take advantage of the ongoing exponential growth in information technology worldwide. Rapid increases in connection speeds, both to PC and mobile devices have enabled more functionality to be made available and brokers have been quick to spot the potential opportunities. As an example, merely 5 or 6 years ago, very few electronic brokers provided an ‘app’ allowing full trading access. Today, it’s considered a standard feature for most start ups in the industry. 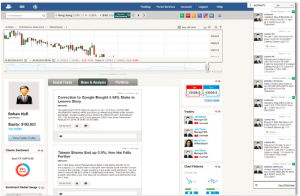 Social integration is an emerging field within the FX industry with some products doing well like eToro, but others flaming out like fxUnity. Without doubt, almost every broker has an online and social media presence on Facebook, Twitter or Instagram, but they all fall short of bringing a fully integrated social media experience that involves trading, interaction and collaboration – a trading community made up of traders. 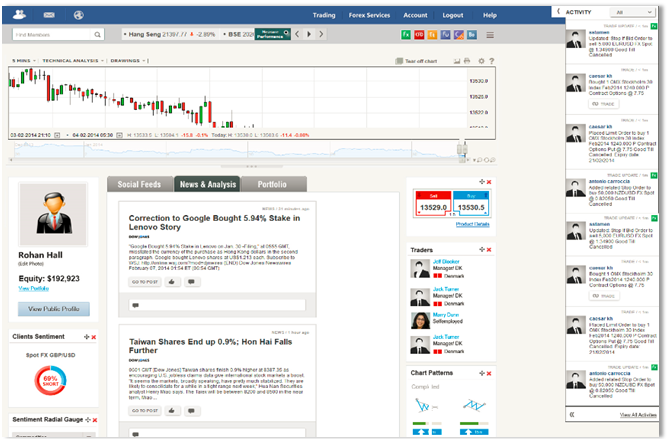 The closest thing to a fully-fledged social trading community would be the TradingFloor portal launched by Saxo Bank in January 2014. 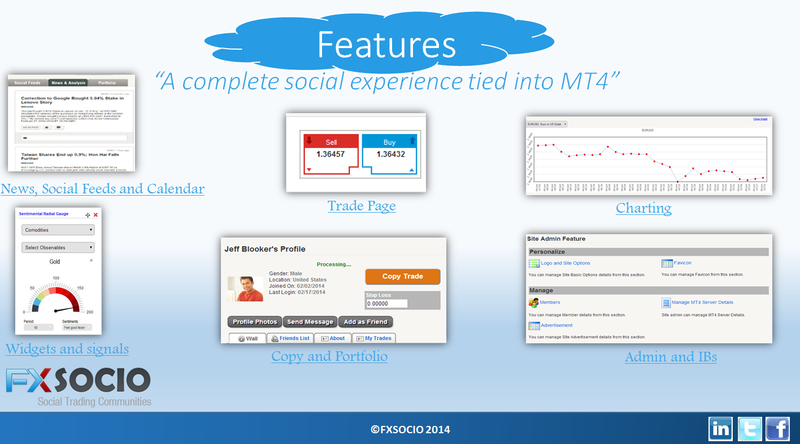 One company trying to fill this market gap is ‘FXSocio’. For the past 8 years they have been working on developing a cloud-based social networking trading platform for the FX market. The company is aiming to create a “fully integrated social media experience for traders” that includes all the popular features of social media giants like Facebook, as well as giving users the opportunity to open/close trades, see the latest market news and access live charting tools directly from any mobile device or personal computer. The unique thing about FXSocio is that the service is attempting to redefine the trading experience rather than just enhance it. Most traders would agree that any trading platform they have ever used has tended to require training and practice in order to use correctly. Mr. Hall sees an inherent problem with that. “If a piece of software needs an instruction manual, that software has failed,” says the charismatic FXSocio founder. When using FXSocio’s interface, the intuitive way everything is laid out provides an immediate feeling of understanding and comfortability. All the features one would usually expect from services like Facebook, such as the ‘activity feed’, ‘wall’, ‘chat’, ‘messaging’ and so on, are all immediately recognizable and accessible. Traders can jump into meeting other traders, sharing stories, files and trading ideas before they make a single trade. 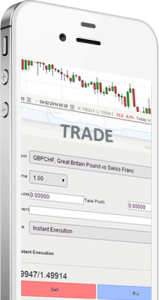 There is also a copy trading feature built-in allowing users to ‘copy trade’ any other trader they like. For many traders, the ‘community feeling’ is of ultimate importance because it defines their whole trading experience and gives them a sense of belonging to a community that includes people just like them. Trading is a dynamic activity where every market participant affects the broader market and by extension every other trader – everything is connected to everything else. In such an interconnected environment, a tool that can bring traders together quickly and effortlessly can be priceless if utilised intelligently. For the time being, FXSocio has been designed from the ground up to work with MetaTrader 4 via a proprietary bridge developed by Mr. Hall and his team. This means that only brokers offering MT4 will be able to utilise this technology. Mr. Hall sees no issues with other platforms being integrated over time however. At the current time, FXSocio is preparing to take this technology into a commercial environment and I personally can’t wait to see how this powerful technology will be utilized in a live market. According to Mr. Hall, “FXSocio is fully customizable, scalable and can be deployed within days, rather than weeks or months.” The software does not require an installation of any kind or any ‘app’ downloads to a compatible device. As long as your device has internet access and a web browser, it’s compatible. Although FXSocio is in the later stages of development, some challenges remain. The interface has very simple trade execution and risk management features which may deter some of the more professional traders and all the included tools such as news, analysis and economic calendar are all slimmed down versions compared to their PC dwelling alternatives. However, Mr. Hall doesn’t see MetaTrader as a competitor. 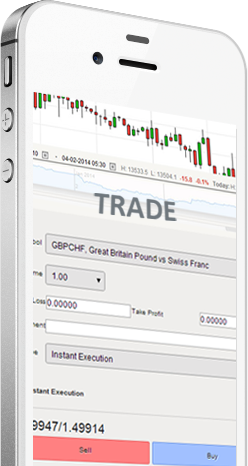 “We love what MetaTrader has done for traders. I see FXSocio only supplementing trader’s activity on MT4, not substituting it.” The idea is that traders would use their fully-fledged trading platform for all serious trading, but once they are on the move, they can interact with other traders via FXSocio on their mobile phone or tablet while keeping track of their open positions/pending orders etc. Trading is often stereotyped as being a single person individual activity that requires long hours in front of a screen and very few people to talk to. With this technology FXSocio is trying to redefine the trading experience by maximizing how far social media can be applied to one of the most challenging professions in the world – trading. FXSocio attempts to overlay the most useful interactive features of social media onto a trader’s trading experience, thereby making the whole process of trading a lot more accessible to a wider audience. The existing set of features are expected to expand further as social media continues to evolve. End users will receive the latest features and innovations as they are developed without having to update or reinstall any software. From a user’s perspective, by far the most powerful aspect of FXSocio is the ease with which it allows traders to interact and collaborate. From a broker’s perspective, FXSocio allows their entire client base to interact with just each other or with clients who trade via other brokers. Depending on how this technology is implemented by individual brokers, it is likely to boost transparency in the retail market and make the trading experience a lot more sociable. Great article, a number of similar platforms have popped up over the past couple of years with most dependent on MT4. I believe it is only a matter of time these social trading networks break free and become stand alone, MQ could potentially force their hand.